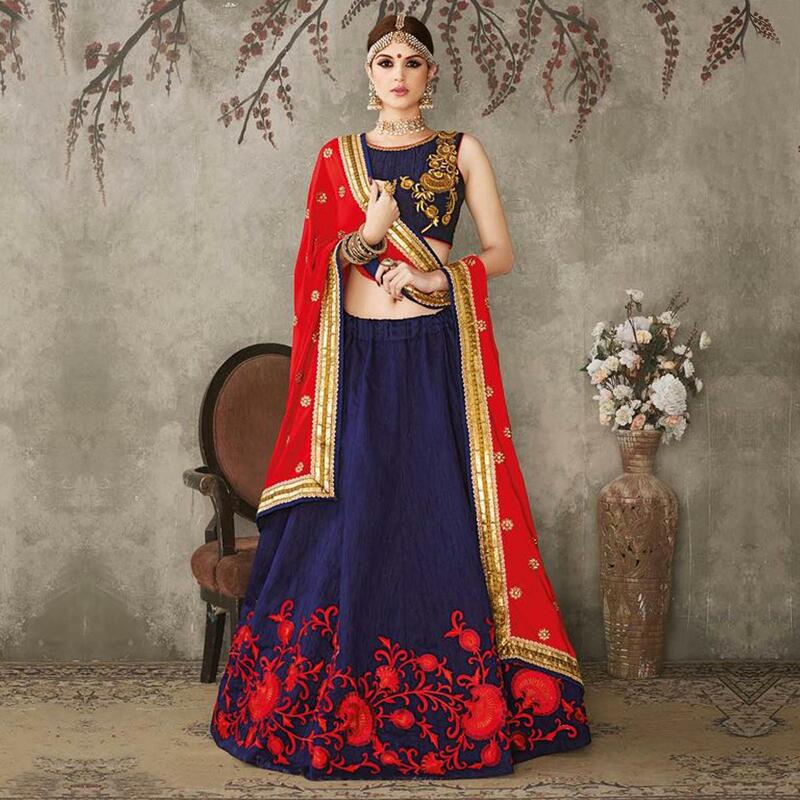 Nothing else can make you look more beautiful than this navy blue designer lehenga choli. This outfit is made from pure silk fabric which is further beautified with patch border & embroidery. The embroidered work is completed with zari, sequins & resham. 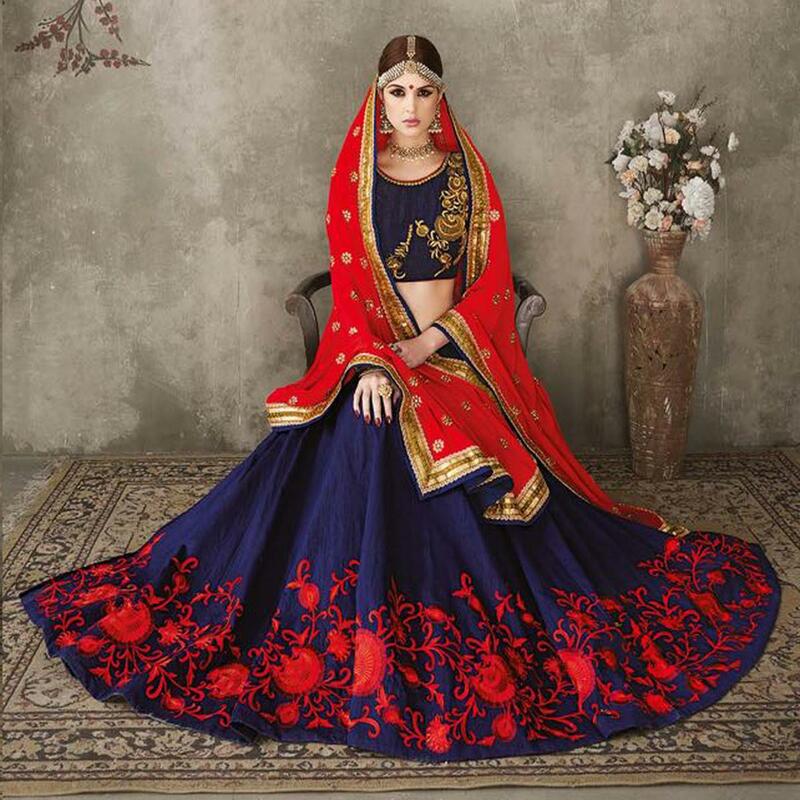 The lehenga comes along with pure silk choli & pure crepe dupatta having floral motifs & lace on the border. Ideally suited for weddings, functions & occasions. Can be teamed with matching traditional accessories for a complete ethnic look.